Skin grows old, dies and then peels naturally. Left to its own devices thesedead layers of skin will sit on the surface until they either flake or are brushed away in some form. Beneath this dead skin, pores build up deposit of sebum, the oil our skin naturally produces. Over time these deposits collect micro-particles of dirt creating blackheads and unhealthy looking skin. 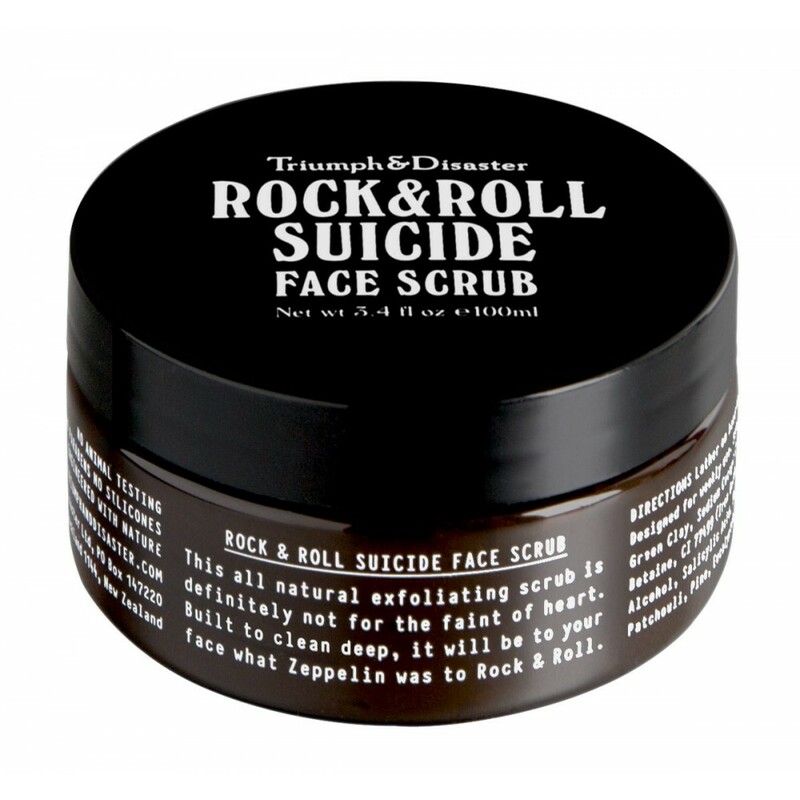 Regular exfoliation with a well balanced and complete face scrub like Rock & Roll Suicide will remove this build up of unwanted material, clean out dirty pores and reveal the fresh layers of good skin underneath. Rock & Roll Suicide exploits only the best natural ingredients and is engineered with safe, efficient science. Like your own personal 'Mr Wolf' for the face.